If popular culture, the news, and that crazy guy down the street are to be believed, the end is indeed coming. Whether it be nuclear holocaust, a severely pissed off deity or climate change (it’s probably going to be climate change) we’re all on the fast track to extinction. The event that some secretly hope will be the finishing move on humanity is also one of the most unlikely, the zombie hoard. But however enjoyable the zombie apocalypse might be, it’s never exactly been realistic. That was, however, until The Last of Us came out. The Last of Us explores the possibility of a fungus taking control over most of the human population, converting them into nightmarish and psychotic horrors that plague the ruins of humanity’s hubris. Nature reclaiming the human frontier is a theme explored across several different stories, from the terrible film ‘The Happening’ to the hidden gem of game ‘Enslaved: Odyssey to the West’ and is nothing particularly new at first glance. But what makes The Last of Us stand out above the crowd is the terrifying hint of the scientific truth behind the fearsome Mushroom Men. There is a certain fungi that does take over control of ants, and the idea that this could spread to other races is more than a little worrying. 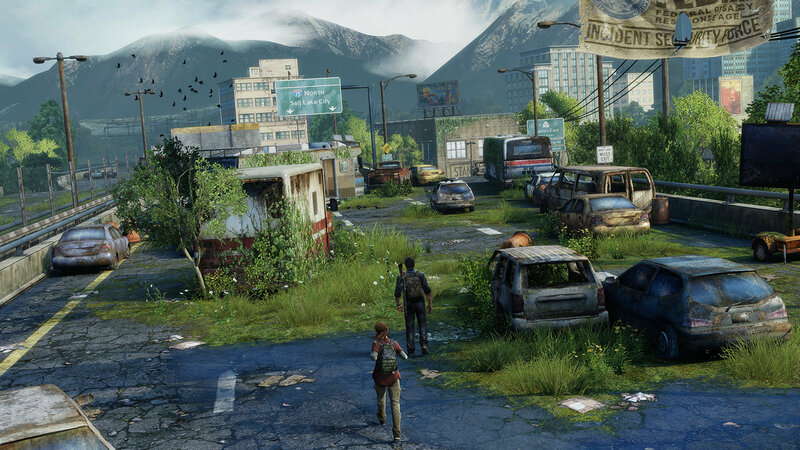 This touch of realism is what makes The Last Of Us so engrossing. And as you explore the crumbling cities and towns through the campaign, the sober beauty really captivates the imagination. Something that The Last Of Us really plays on, giving you hints of stories from collectibles and the visuals around you. The world feels complete, which makes it so much more enjoyable to delve into. The tale of The Last of Us is nothing to new, and you’ll be probably guess most of the twists and turns before they happen, but it is brilliantly told. The pacing is initially a bit spotty, jumping from the very beginning of the outbreak to twenty years later after just one short level. But after that, the story settles into the slow, measured speed that gives you time to fall in love with characters, story and environment. You follow Joel, a working stiff turned smuggler in the brave new mushroom filled world, as he transports a young girl with an obvious secret to a rebel base across the country. It’s a very personal story, with supremely good acting that explores a lot of very powerful issues, across an enormous backdrop of misery and hope. Along the way you’ll encounter the overly aggressive military, bandits and the dreaded zombies. Each enemy has their own behaviour which you’ll have to adapt to in order to continue on your quest. The combat is strong and very visceral. In the current state of industry in America, bullets are something of a rarity, so most of the combat will be done with what you can find around you. Bricks, bottles and pipes will become your best friend, and with a rudimentary crafting system that gives you access to shivs, molotovs and nail bombs you’ll be spoiled for choice on how to deal with each encounter. Stealth is also a useful tool, especially with the most infamous infected, the Clicker. These things could haunt your nightmares. They have overgrown mushrooms covering most of their face that force them into using echo location in order to find their prey. Making noise will attract their attention, while silently slipping past is the smarter, but more terrifying choice. All these features are heightened in the Remastered edition for PS4, with graphics so powerful you’ll hardly notice the difference between cutscenes and the gameplay itself. Some other games on the PS4 may look better, but for an enhanced port from the last generation the game is stunning. The Remastered the edition also includes all the DLC released for the original, with extra levels allowing you to play as the young and vulnerable Ellie, and an extended choice of multiplayer maps. 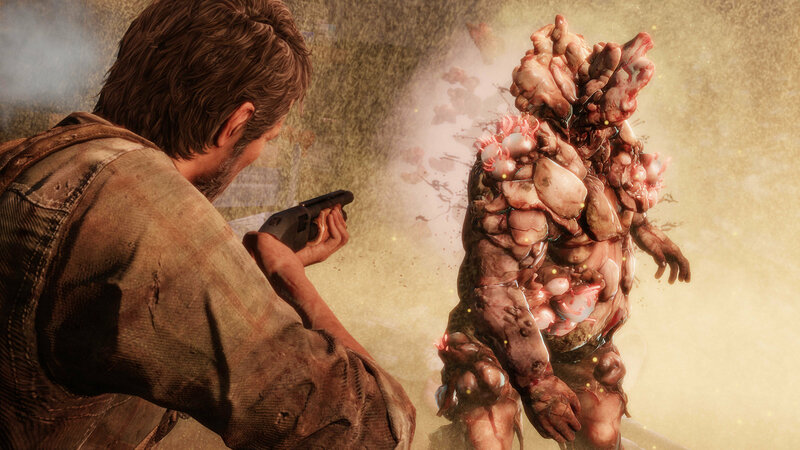 No one buys The Last of Us for the multiplayer, as the game provides a single player experience far more satisfying. That being said, the multiplayer is a nice addition, allowing you to play against others with the same collection of tools and smarts as you yourself. It’s easy to see why The Last of Us is etched as one of the best titles of the last generation, with an emotive storyline that proves video games can hold their own against cinema. The gameplay and exploration is top notch, and you should take every chance you can to explore the world around you, both on the ground and the vacant buildings above. Whether you’ve played the game before or this is your first experience, The Last of Us Remastered gives you a beautiful and chilling tale of the end of the world, and the people who can endure it.